STOP THE DESTRUCTION OF OCOTILLO! Baja Pictographs similar to Indian Hill Pictographs. 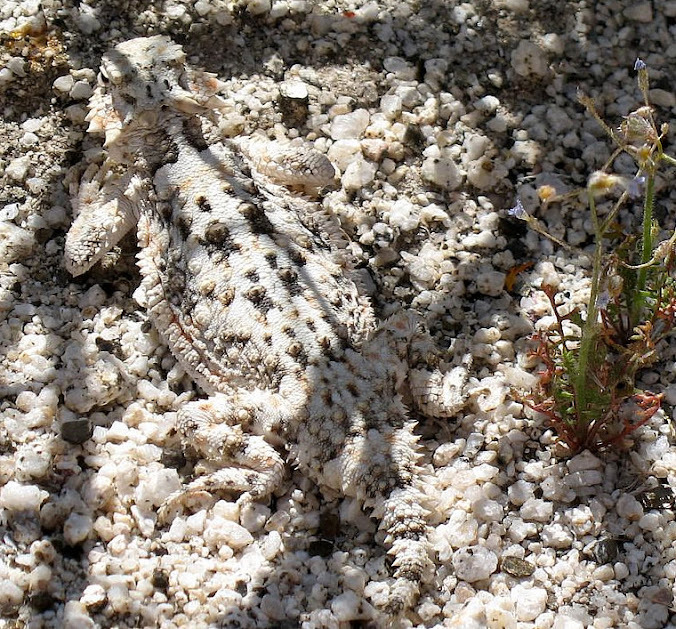 Flat-Tailed Horned Lizard with amazing camouflage in RockHouse Canyon (BLM Land). Notice how the black and white pattern perfectly matches the sand. We are still not sure how Linda saw him. Click picture to read the post or you can view more of our wildlife encounters here : Wildlife in Anza Borrego.